In a Texas Partnership, the district authorizes an independent in-district school with the partner selected through a careful authorizing process. The partner has responsibility for personnel, curriculum, calendar, and assessments. The district holds the partner accountable through a performance contract outlining academic goals for the school as well as the division of roles and responsibilities. The state Legislature signed SB 1882 into law in 2017. The bill encourages districts to use these partnerships to improve student outcomes by offering two new benefits; Approved partnerships may receive additional state funding for the partnership school, and schools identified as Improvement Required (IR) under the 2017-2018 accountability rating are eligible to receive a two-year exemption from specific accountability interventions. Approved partnership schools may receive additional state funding for each student on an annual basis for the duration of the partnership. 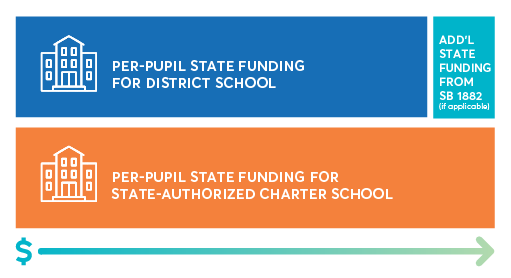 This funding is available to schools that receive less per-pupil state funding than they would receive if they were a state-authorized charter school. District can determine an estimate of the potential additional funding using the Texas Partnership Funding Calculator. Approved partnership schools in IR status receive a two-year exemption from specific accountability-related interventions to allow the partnership time to improve academic performance. For schools in IR1 – IR3, the exemption begins the academic year after the school seeks approval for partnership benefits. 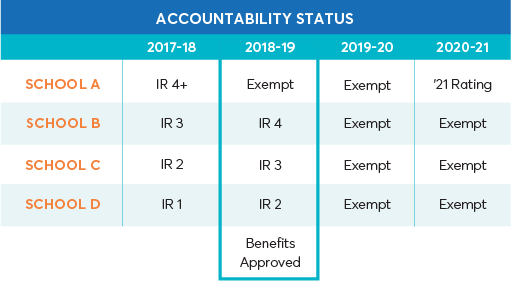 For schools with four or more consecutive IR ratings, the accountability intervention exemption begins in the 2018-19 school year. Districts interested in launching and seeking the benefits of a Texas Partnership School must complete two steps. First, the district must recruit, select, and authorize a new or existing Texas partner to operate an innovation or turnaround school. Then, the district must apply to the state on behalf of the partnership school for partnership benefits. Learn more about developing a strong partnership. Learn more about the application and approval process. There are two kinds of partnership schools. Turnaround Partnership schools include schools that received an Improvement Required (IR) rating the year prior to becoming a partnership school (SY 2017-18 for this application cycle). In contrast, Innovation Partnership schools include existing district schools that were not in IR status the year prior to becoming a partnership school and newly launched schools with a new county district campus number (including early childhood programs serving PK3). Existing schools that were not in IR status in 2017-2018 and new schools, defined as new campuses for state reporting and must receive a new county district campus number (CDCN). The school received an “Improvement Required” rating for the 2017-2018 school year. There are two types of potential partners. The first type – existing Texas partners – includes state-authorized (Subchapter D) Texas charter operators, as well as district-authorized (Subchapter C) charter operators in good standing. To meet the state’s definition for “good standing,” the partner must have at least three years of experience operating a Texas charter school and received acceptable academic and financial accountability ratings for the three preceding school years. In addition, the partner may not be associated with a charter that has been revoked. 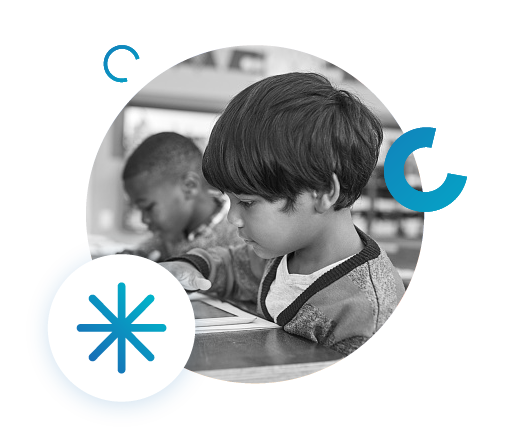 The second partner type – new Texas partners – includes all other eligible entities, such as existing state- or district-authorized charter operators with less than three years of experience operating a charter school in Texas, non-profits, institutes of higher education, governmental entities, and out-of-state school operators. 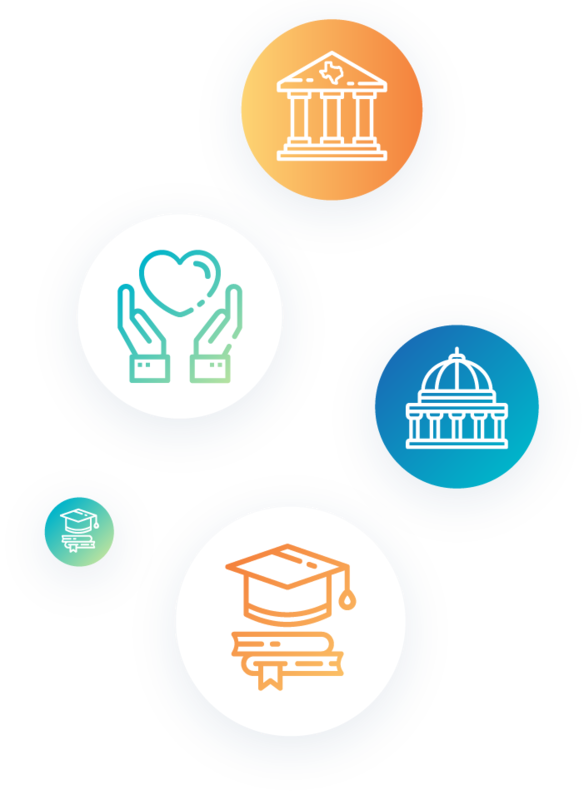 See Texas Partnerships in action in these profiles about districts that created partnerships to develop new opportunities for students and families.